If you are indecisive if you want to install a carport at your property, we hope that after going through this post, you will have made your decision. Carports in Sydney as of recently have become all the rage because of how versatile they are. By coming in various material options and designs, incorporating a carport in your property can add a lot of value to it. The benefits are not just limited to value but function and aesthetic as well. 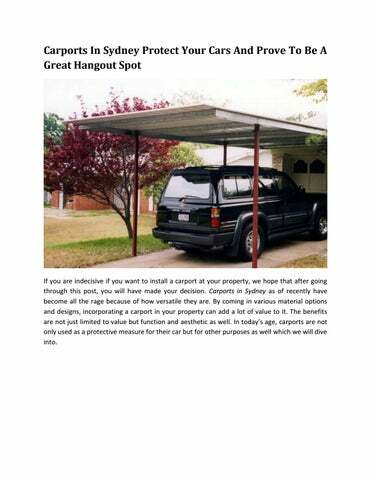 In todayâ&#x20AC;&#x2122;s age, carports are not only used as a protective measure for their car but for other purposes as well which we will dive into. If you are new to the concept of carports and do not know what they are or what their function is, let us break it down and explain it to you. A carport is essentially a structural covering for your car; semi-permanent structure which includes a roof supported by poles. The number of poles is not fixed as carports of various sizes require different support. Carports can either be stand alone and have four poles or be joined to your property and have only two. If you require a carport for your commercial property the required poles will be calculated to evenly distribute the weight of the roof. Made with different materials i.e. wood, metal and sometimes even glass, carports can add a significant amount of protection to your car. If you live in an area that has extremely hot weather, it would be great for you to have a covering for your car. Intense exposure to the sunlight for long periods of time can significantly damage your carâ&#x20AC;&#x2122;s batteries. This happens simply because under immense heat the battery fluid evaporates. Expose to the heat can also have a bad effect on the tires of your car. 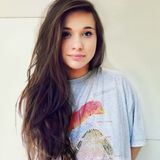 Hot temperature can disintegrate their shape and can lead to drying them out and quite possibly blowing. While one may think of incorporating a garage in the house structure, a garage comes at a hefty price tag. To build one from scratch costs more than $20,000 whereas a carport can be purchased and installed within $6-7000; even less than half the price. Some carports which owners decide to attach with the structure of the house, if painted and designed properly can blend seamlessly with it. They look like a natural extension of the house and only by looking very close would one be able to tell that it is a carport. Let us say for example that you have a red brick house. A carport that has the poles painted red and the roof being wood and with beams would look perfect with your house. If you can make the extra effort of planting vines and other plants that grow on structures and form a canopy, the carport structure will look please anyone aesthetically and you will be able to have a great looking shady and cool spot to park your car under. Like mentioned above, carports in Sydney are used for more than just parking spots. They are used as free standing structures in gardens or any other place on your property to make a separate designated area. They prove to be great structures for covering the picnic table in your garden or for generally making a certain space where you or your children can spend time during the day time in the summer.